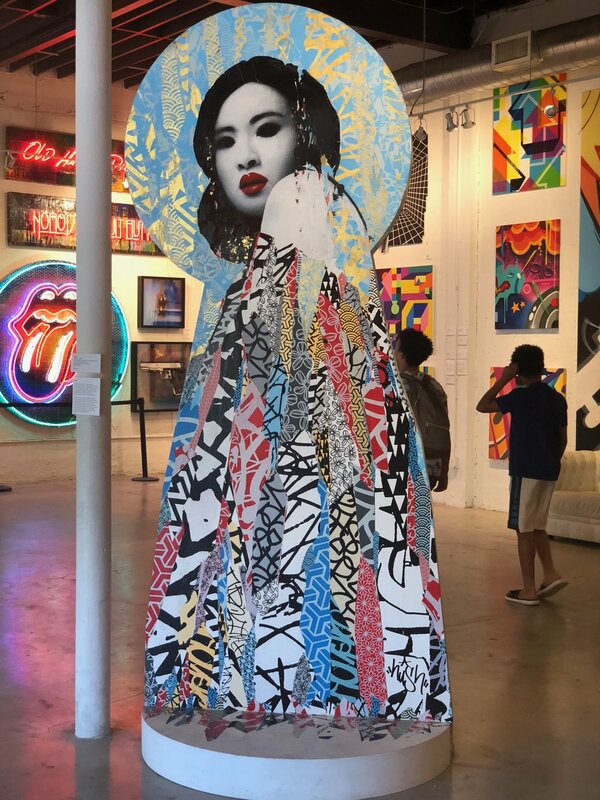 Formally trained for five years at the Newcastle school of art and design, HUSH took to painting after years spent working as an art director in the Far East. 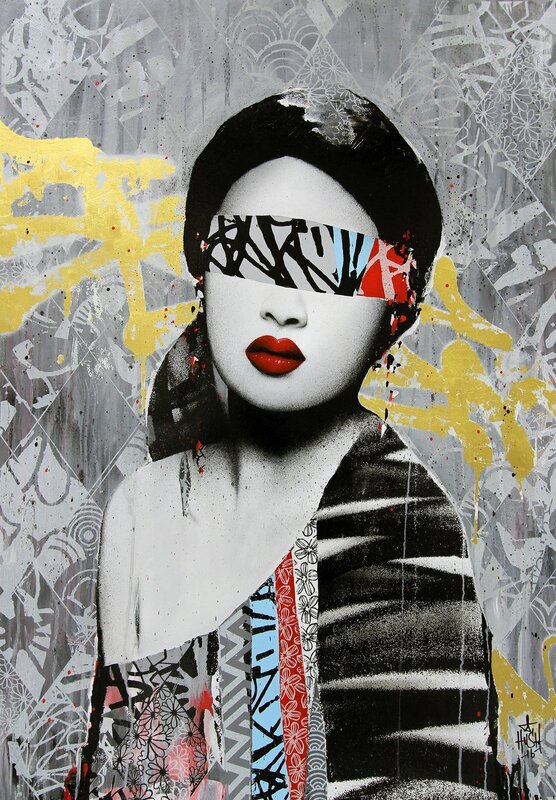 Hush’s unique style is recognizable by its focus on the female form set within backgrounds filled with an expressionist’s freedom of layering and color. 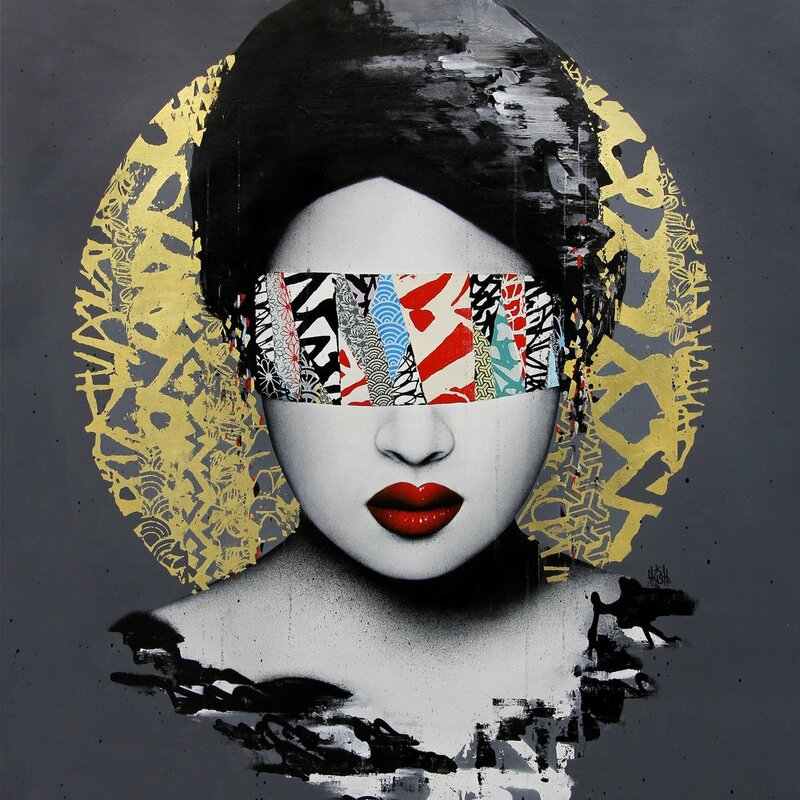 With an in-depth technique that includes painting, screen printing and spray-painting, Hush creates work that instantly draws the eye in and holds the viewer’s focus. Patterns ranging from geometric repetition, to florals that conjure up images of royal tapestries, and delicately decorated vases, are not solely confined to the background but often take shape, forming graceful fabrics.